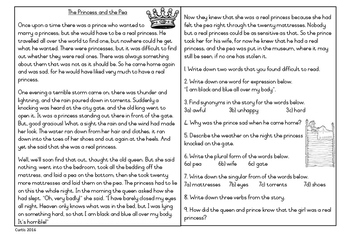 A worksheet for grade 3, end of the year. Good for revision. Asks questions about the story of the Princess and the Pea. Language skills: synonyms, plurals, verbs, higher order questions.